Giorgia Bronzini announced her retirement a few months ago and she's ready to tackle her new position as sports director at Trek-Segafredo. Her prolific career and the mentoring roles she has undertaken deserve a closer look in the aftermath of her retirement. 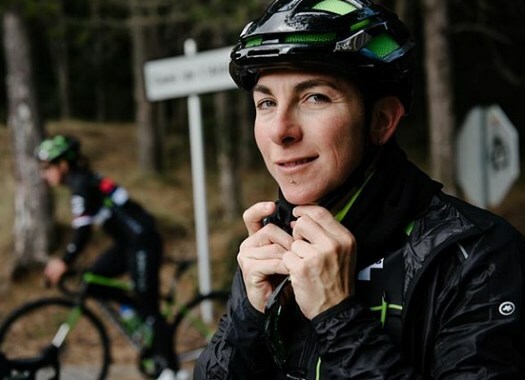 The 35-year-old chose to retire after more than ten years in the professional peloton, due to her life outside competition. "I really still enjoy the racing, but what I am finding heavy is all the training," she commented at the announcement of her retirement. The rider was part of multiple UCI teams like Safi-Pasta Zara, Wiggle High 5 and Cyclance Pro Cycling, where she closed her chapter as a professional rider. She made the move to the American team in 2018 to try to find new motivation in riding, but after failing at that, decided to start a new part of her cycling career. For many years, Bronzini was one of the most prolific and important sprinters of the women's peloton, by taking important victories like the World Championships Road Race two times in a row in 2010 and 2011, and a total of more than 80 UCI wins. She was also very successful on the track, where she took a Gold medal at the points race of the 2009 World Championships and at the U23 points race of the European Championships of Moscow 2003. Her palmares also includes stage victories in races like the Giro d'Italia Femminile, the Holland Ladies Tour, the Trophee d'Or Feminin, the Ladies Tour of Qatar, the Giro Della Toscana, la Route de France and the Euskal Emakumeen XXXIX Bira, among many others, as well as an overall win at the Tour of Zhoushan Island and top-five positions at the Women's Tour, the Tour of Chongming Island, The Ladies Tour of Qatar and the Trophee d'Or Feminin. As the years passed and her victories became fewer, Bronzini started taking up a mentoring role to the younger riders by teaching them the ways of the professional peloton in which she has years of experience. With the new position she will take at the newly created Trek-Segafredo as sports director, she will have a new chance to share her knowledge with the new generations and with the talented group the team has gathered for its first season. In December, Bronzini will take the UCI's sports director course and she will be prepared to start her work along Ina Teutenberg at the new formation of the women's peloton.